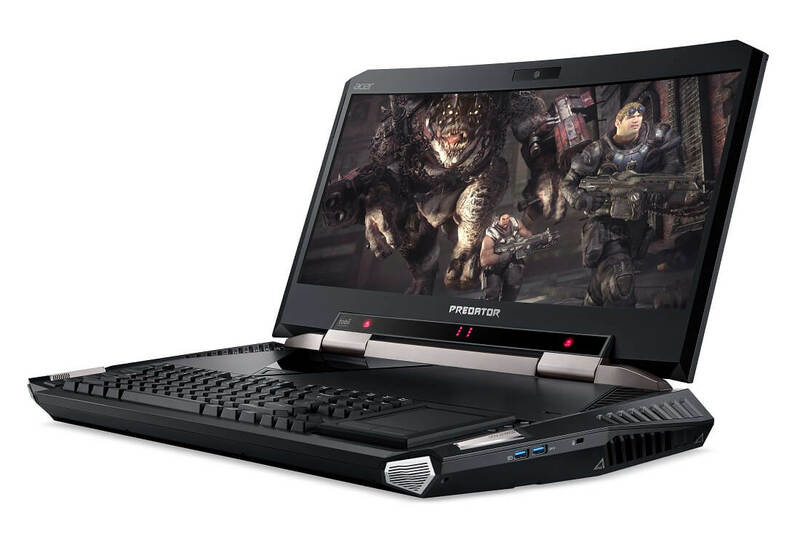 Acer now has the most expensive gaming laptop on the market. 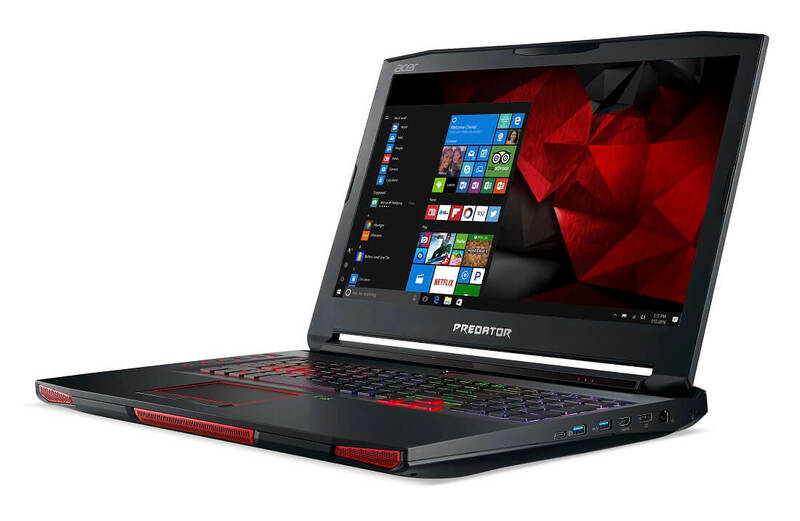 The Predator 21 X, which was first shown off at IFA 2016 in September, will be available in February for a ludicrous $8,999, making it a whole $4,000 more expensive than the most expensive gaming notebook available through Newegg. Europeans will have to fork out €9,999 for this beast. So what does nine thousand dollars of gaming laptop actually get you? Top of the line hardware across the board, including a 21-inch curved ultrawide display with a 2560 x 1080 resolution and a 120 Hz refresh rate. Acer is proudly calling this the first laptop with a curved display, although at 8kg heavy it won't exactly be a portable machine. The Predator 21 X is kitted out with a brand new overclockable Intel 'Kaby Lake' Core i7-7820HK processor, and two Nvidia GeForce GTX 1080 GPUs in SLI, each with 8 GB of GDDR5X memory. There's also 64GB of DDR4-2400 memory, and up to four 512GB SSDs including two on an NVMe PCIe bus. Acer will even chuck in a 1TB hard drive and Killer DoubleShot Pro networking. Acer has managed to fit in a full-sized mechanical keyboard with Cherry MX Brown keyswitches because this laptop is so large. Each key has programmable RGB LED backlighting, and the numpad on the right-hand side flips over to create a trackpad. Tobii eye tracking with Windows Hello support is included, as is a six-speaker audio system. At such an exorbitant price, it's unlikely that Acer will sell a significant amount of Predator 21 Xs. But if you're interested in owning the most expensive gaming laptop, it'll hit stores in February. 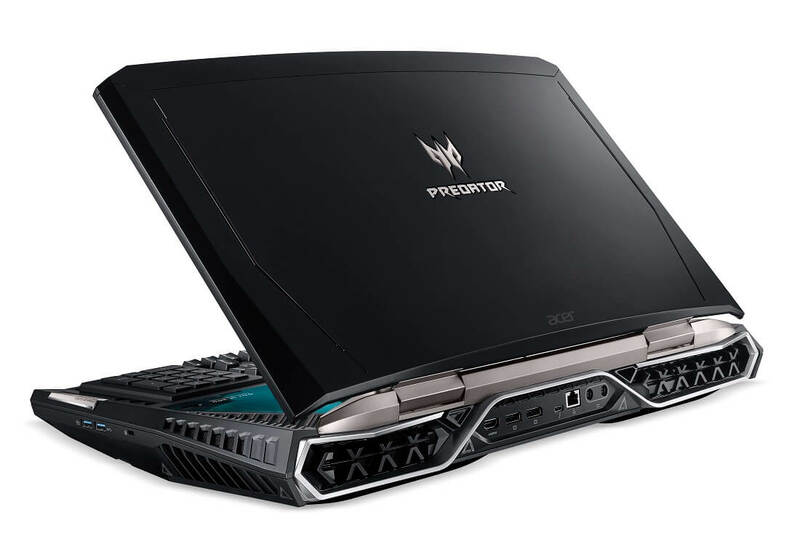 For those wanting something more reasonably priced, Acer has refreshed the Predator 17 X with a new processor and discrete graphics. You'll now get an Intel Core i7-7820HK and a GeForce GTX 1080, both of which you can easily overclock through Acer's included utility (up to 4.3 GHz on the CPU and up to 1732 MHz on the GPU). The 17.3-inch display is available in either 1080p G-Sync or 4K IPS options. The Predator 17 X will be available in January starting at $2,599 (or €2,999 in Europe). After tax the price is over 9,000. For a laptop. EEatGDL, Reehahs, ForgottenLegion and 1 other person like this. In something like this, the battery is more of a UPS. Just there to be able to shutdown safely. liammac002, ForgottenLegion, mbrowne5061 and 1 other person like this. That is insane... I can't imagine it is really worth that price tag. You can build an equivalent hardware small form factor PC for much less, sure it isn't as portable but it would be just fine for LAN parties. is portability even a concern with a 21 inch LAPTOP? I mean jesus, this thing would be portable in the same way a desktop is portable. liammac002, davislane1 and ForgottenLegion like this. Essentially. Might as well build a small form factor desktop and call it a day. 9000 balloons for a laptop??? Indeed. And the damn thing looks pretty dreadful to me. Thanks, but I've got far better things to waste that kind of money on. From a technical standpoint it is pretty neat... But you really have to have some money to blow to buy this. Has the Asus monstrosity become available yet? I recall it had twin 1080s as well and was crazy big... Would love to see a direct comparison once both are for sale. Batman would order TWO of them. I'm thinking more of the movie Batman where a lot of his gear is just modified secret military tech..which, quite honestly, really bugged me. Yeah, I like your idea better. But I still bet Robin would have one. Also, the numpad thing is genius. The Asus one had liquid cooling and such.... There was an article here about it but I'm on my phone now - will update with a link when I get home (unless someone beats me to it).